The Mother City is feeling the heat as the drought in Cape Town becomes a grim reality. The drought in Cape Town, South Africa, has left residents feeling frightened, angry and hot, as the mercury level climbs. With showers severely curbed, and baths a thing of the past, your average Mother City dweller dreams of a stay where water is less of an issue. But, did you know that to escape the severity of the drought in Cape Town, you haven’t far to go? BUT NOTE: The Western Cape is experiencing drought severity throughout the province. Stellenbosch and Saldanha have level 5 water restrictions. There are areas, however, that whilst water-conscious (Level 1 water restrictions) have not been flagged as water crisis zones, as Cape Town has. Nonetheless, when you visit, respect that water is scarce and still curb your water use…(ons sê net!). Just over two hour’s drive away, the little seaside villages of Rooi-Els, Pringle Bay and Betty’s Bay, Gansbaai and Hermanus as well as the inland towns of Stanford and Greyton all still enjoy relatively full dams and have not been affected the way that Cape Town has. Towards the end of last year the area introduced Level 1 water restrictions, but it’s a welcome bolt hole for Capetonians, who face being without water by April 2018. Cotton Cottage, over and above its three-bedroom open-plan appeal, has an outdoor shower for you to drink in the mountain and nature trail views at the same time as feeling water wash over you. There are two bathrooms, and a couple of beds in a loft, to add to the cottage’s appeal. But the quick access to the beach and Vermont’s nature trails is the trump card. A simple cottage in amongst the coastal fynbos for which Betty’s Bay is famous, Rocky Pools is named after the ocean and its rock pools only a short stroll away. Its shady veranda appeals, as does the casual lime-washed Morris-style furniture and cool screed floors. There are ocean views from the bedrooms, comfy couches and both the Kogelberg Nature Reserve and Harold Porter Gardens nearby. Why wouldn’t you? The Overstrand and Cape Agulhas, the country’s most southerly area, do have water restrictions in place – Level 1 – and they’re operating a ‘water-wise’ campaign, but it’s nothing like Cape Town yet. The drive is a little further than the Overstrand, but it’s easily doable for a weekend break. You can’t help but fall in-love with this place, just outside Baardskeerdersbos. You’re surrounded by indigenous gardens, meandering footpaths, and meals made from local ingredients. 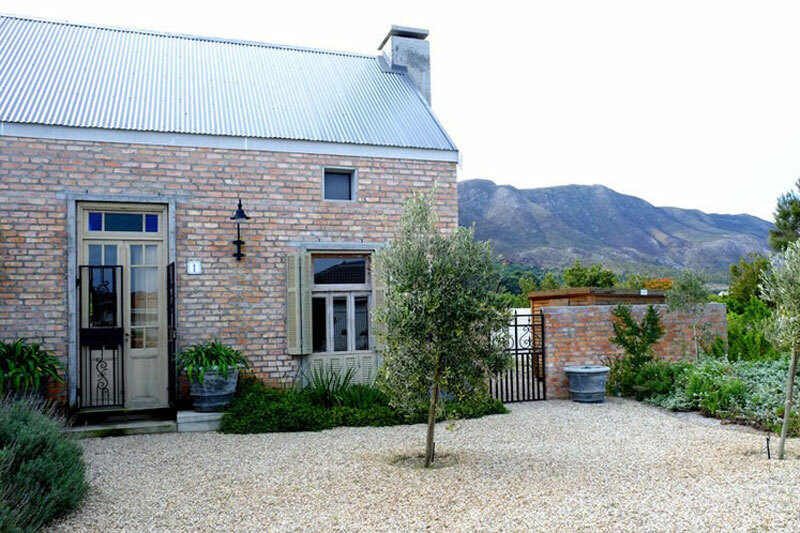 Making a choice between the various accommodation offerings might prove a little taxing, but the promise of views over the lake of Kraaiboschdam, vineyards and the endless Overberg mountains will make it that much easier. 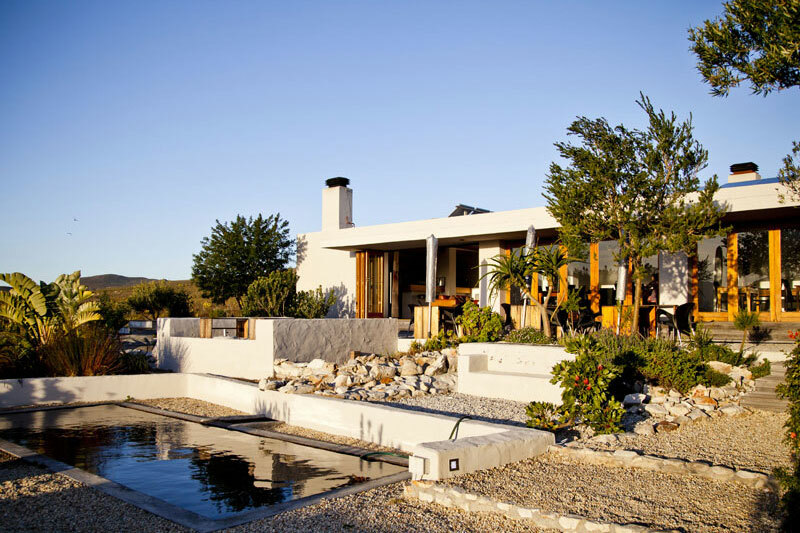 These cottages are a complete treat, as is De Hoop Nature Reserve. 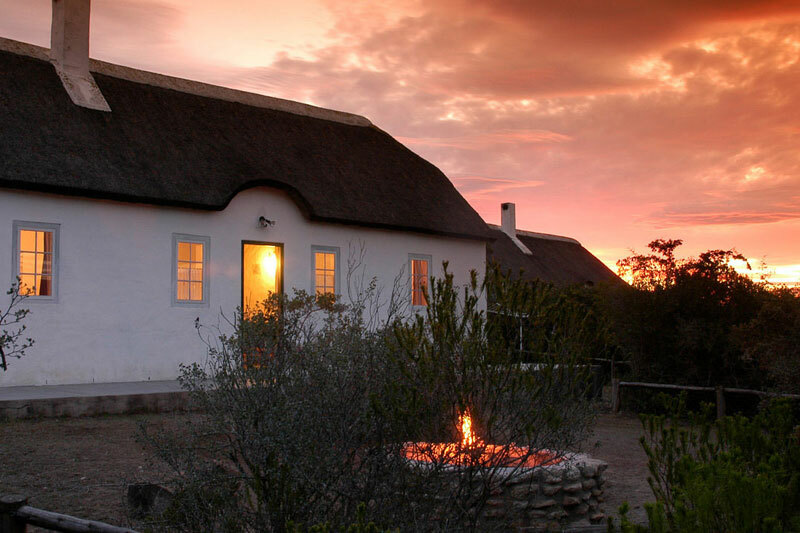 Thatched and on the verge of the vlei, each of the three cottages comes with two bedrooms. 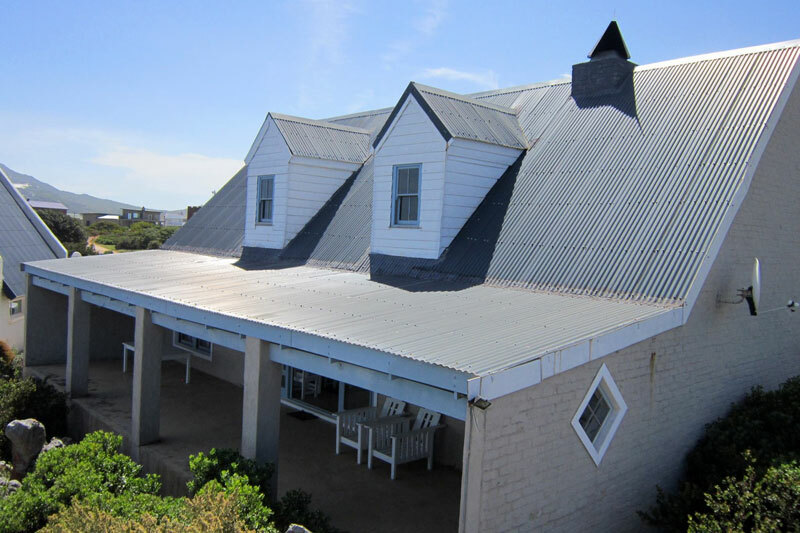 They offer enough comfort that you don’t have to leave the front stoep, unless it’s to head to the beach and it’s wonderful coves, or to walk one of the numerous hiking paths. 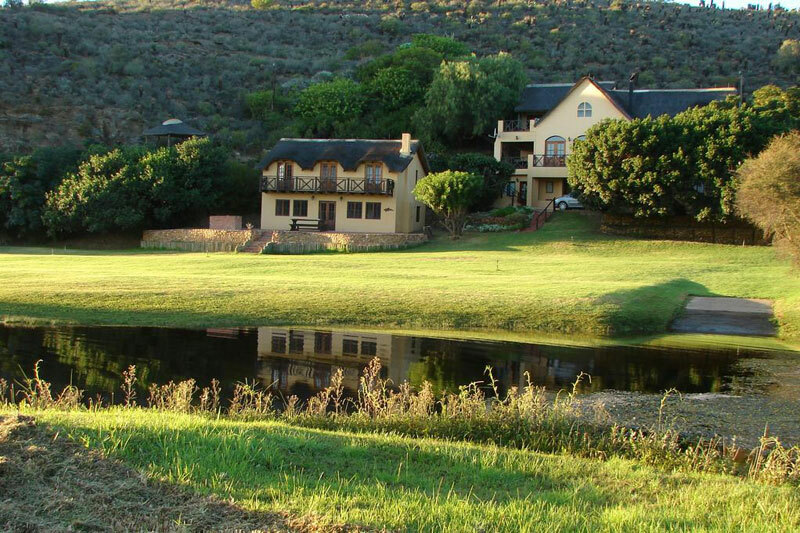 Sleep right on the banks of the Breede River, near Malgas, in this birdwatcher and fisherman’s paradise. Off-the-beaten-track, Tides River Lodge has three self-catering villas, and a boathouse with slipway and jetty for your own boat. The thatched roofs and gentle river views are a balm for any water-strapped individual. 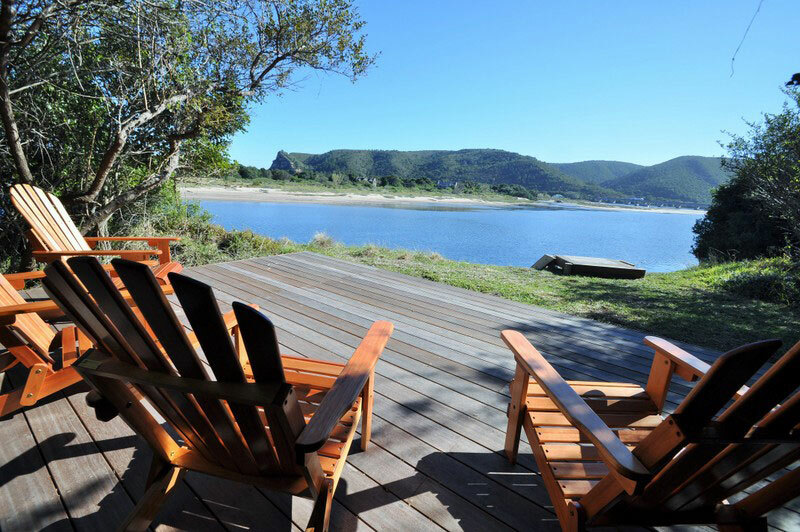 Capetonians need little excuse to head to Plettenberg Bay. Despite only Stage 1 water restrictions, the area believes it is facing a potentially severe situation and they’re diligently following a water-wise policy. Their major source of water is the Keurbooms River. 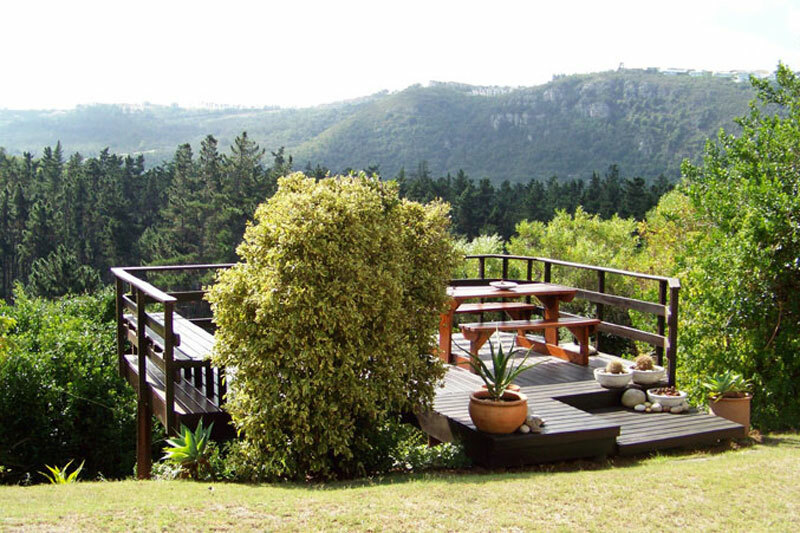 The garden’s wooden deck overlooking a dense indigenous forest with a bird life to match (at sundown you may spot a sparrow hawk, or Knysna loerie) is merely one of the reasons we like this artistically decorated self-catering option. Its simplicity is matched only by the quick access to Robberg beach (three minutes’ away). Aquila sends a clear message about their respect for water – you’ll notice that even their email reply to you will outline the need for less water during your stay, so you’re rest assured that the odd shower isn’t going to jeopardise their supply. 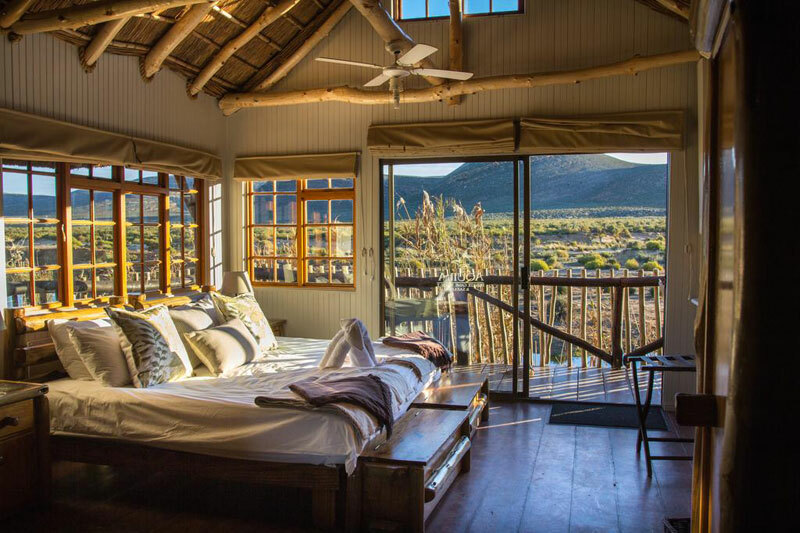 Besides, the opportunity of experiencing the Big 5 this close to Cape Town, in amongst the beauty of the Karoo, is difficult to pass up. Do not forget picturesque Barrydale. Only 3 hours away and you can fill up your water bottles in the Tradouw Pass.